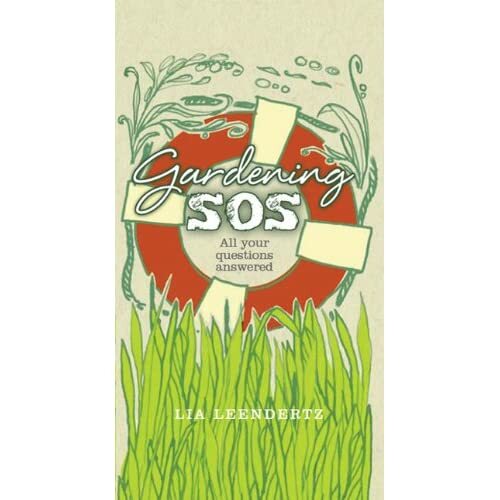 If you are having trouble sourcing a certain type of plant, write a blog post having a little moan about it, ideally a few days before a load of gardening bloggers are going to be getting together for a party. I wrote this last week, and then I went to Malvern Meet, a gathering of garden bloggers timed to coincide with the Malvern Spring Flower Show. I went to the show and to the evening party, and then spent my first night in my new camper van. Above is the sight that greeted me when I woke up, and I thought it looked cool, so I thought I would share it with you. I bought stuff too, but these are the freebies. They are, left to right, Japanese parsley from Mark Diacono, oca and ulloco from Simon Suter, and garlic chives, dwarf pomegranate, Schisandra chinensis and sweet chestnut all from Mark D. At the risk of sounding ungrateful not one of them (apart from the chestnut) was on my wanted list, and brief investigations suggest they may be an odd lot, but I am learning that this perennial vegetable business is going to force me to be a little more open-minded, and so I shall soldier on. So essentially I am just taking the opportunity to show off my freebies (there are Babington leeks coming by post from BlundstonedLove too, as he couldn’t make it), but also to say what a great time I had at Malvern, testing out the van (cosy, warm, dry, fine plant transportation abilities) and spending actual real life time with such fine and fun internet people. And to say thanks for all the weird plants. So let me get this right: you went to the Malvern Spring Show, in your new campervan, met lots and lots of bloggy/tweety chums AND got given lots of lovely plants. I am SO not talking to you anymore. Ooooh that does look cosy! Wasn’t it great? Managed to finally track down some more hot veg action in the Floral Marquee – th ebiggest Turkish Rocket you ever did see! Oh I love your van! I felt quite envious when I saw it in Helen’s drive and even more so now when I see plants in it. What a perfect combination. It was very good to meet you. If you don’t want the Japanese parsley I’m sure the Bedsock will take it off your hands. I have a feeling that was one of the things he was looking for when he bought 8 packets of herb seeds (for ME to grow) from Jekka’s stand. Gilly – yes, that’s it, essentially. Oh and we ate cake and got a bit tipsy and gossiped about everyone. Especially you. VP – very cosy indeed. Genuinely gutted I missed the big turkish rocket. Elizabeth – lovely to meet you too. Yes, it just looks right full of plants, doesnt it? Anna – and great to meet you. Hope your campervannign went well too. I stowed the little ones in the cupboards for the journey, and let the big one slide around. Mark – Less of the old, please. And the bag for that matter. I said thanks, didnt I? Arabella – You are kind but I am not actually wanting to offload any of them. I am actually quite chuffed, but dont tell Mark. I will plant it and it will do fantastically and I will give the bedsock a bit of it. Loving the van – although I think you should add some bunting. Then again, there is no situation in which I wouldn’t add bunting. 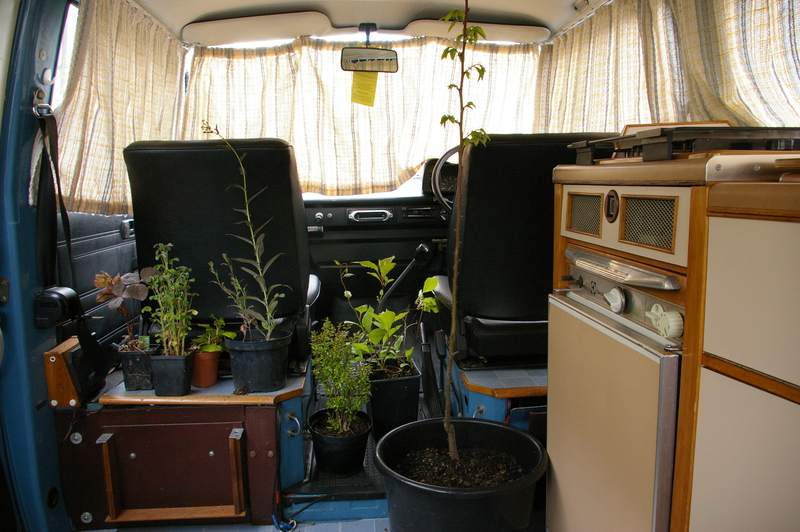 Your campervan looks wicked especially with all those plants inside. What a wonerful sight to wake up too. Two years ago I bought a lot of roses in flower and I still remember how happy I was on the way back as their lovely scent wafted all around me in my widdle Tweety (my car). I agree with Dawn. The camper needs bunting! The camper van looks so cute filled with plants. So handy to get everything home! Not sure which must have been best, the van or the show. P.S. Watch out – next time you go to a ‘Meet’ cheerful bloggers will be turning up with armfuls of decorations with which to festoon your camper and you’ll find yourself hacking your way out in the morning. Make sure to take a machete.